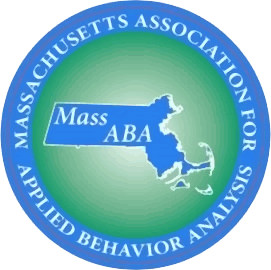 We’d like to take a moment to congratulate some of our staff members for their recent participation as presenters at the Massachusetts Applied Behavior Analysis Conference at Bentley University in April and the ABA International Annual Conference in Minneapolis, MN in May. Christina Boyd-Pickard, Director of RCS Learning Center, Elizabeth Kelsey, Assistant Director of RCS Learning Center, Colleen Yorlets, Assistant Director of RCS Behavioral & Educational Consulting, and Jackie Adams, Program Manager at RCS Learning Center joined thousands of other ABA professionals in the Midwest to present a symposium on “Organizational Behavior Management: Methods to Improve Staff Performance”. Allison Disch, Program Manager at RCS Learning Center and Christina Boyd-Pickard were also invited to ABA International in Minnesota to present a poster on “The Effects of Non-Contingent Access to Chewing Gum on the Frequency of Rumination in a Student With Autism”. Congratulations on this great success–we are proud of your hard work and your great representation of RCS in the ABA community!